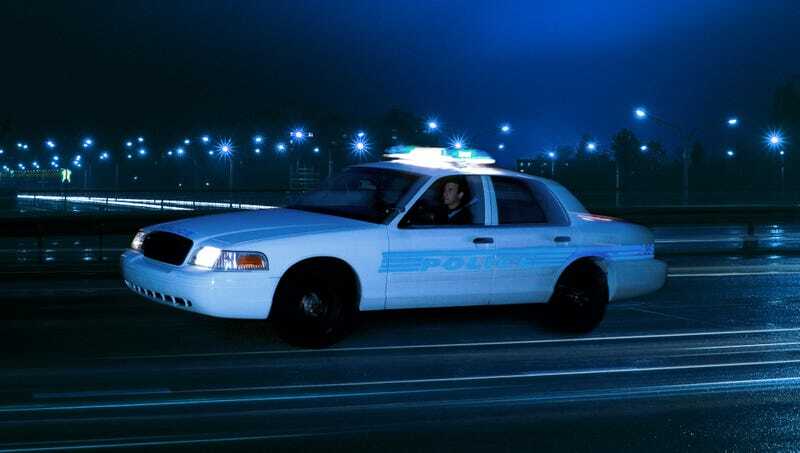 ATLANTA—In an effort to avoid arousing any suspicion, drunk driver Jeff Macklin reportedly assured himself while speeding away in a stolen police car Monday that he would be totally fine if he just took it slow. “All you gotta do is take this nice and easy, and everything will turn out A-okay,” said the inebriated Macklin, who carefully checked the rearview mirror as he peeled out in the police cruiser and gunned it down the highway. “As long as you keep an eye on the speed limit and stay in the right lane, no one will be any the wiser. Just remember to signal and check your blind spots for any oncoming traffic. You got this.” At press time, Macklin told himself to just stay calm and pretend like nothing was wrong after crashing the cop car into the front of his house.